In the morning of the 2nd of November, the end of cruise season was officially announced. 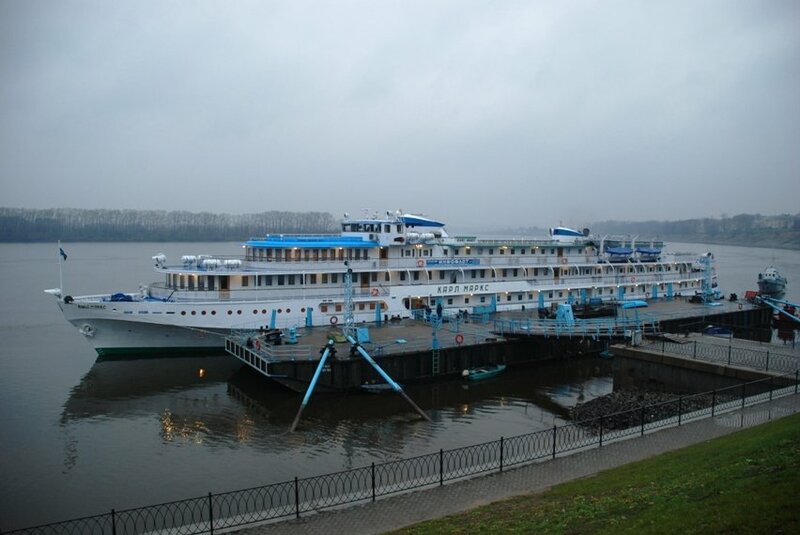 The last cruise of the season 2015 was completed at 9 am at the pier of Gorodets city, Nizhny Novgorod region. The last cruise of the year took off from Moscow on 31st of October towards Uglich, Yaroslavl and Gorodets. The cruise season lasted for 187 days, which is one week less than in the previous year. Ninety six cruise ships of different type and class were operating during 2015 season. Among them, 5 ships were serving the transport and passenger-carrying cruises ("Alexander Matrosov" and "Valery Chkalov" on the Yenisei river, "Mechanic Kalashnikov" and "Motherland" on the Irtysh and Ob rivers, and "The Mechanic Kulibin" on river Lena), the rest were operating as a river cruise ships. The season of 2015 was not easy for the cruise companies. Due to the low amount of snow in winter time, the level of water in the rivers was relatively low. The Volga river was not an exception and cruise companies faced the difficulty of navigating their ships through the Gorodetsky area, where water was too low for the ship to pass. Some of the cruises were canceled, where possible the ships were substituted. Nonetheless, the industry made it through this year and now sales for the upcoming 2016 season are open!